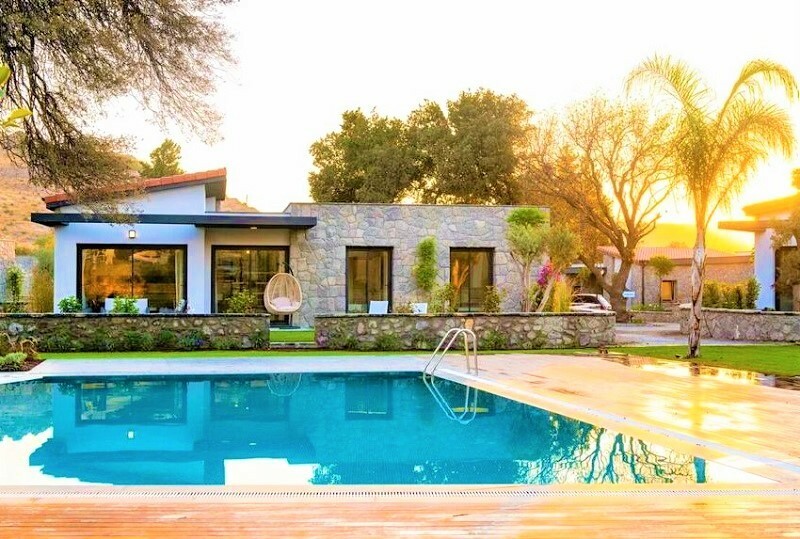 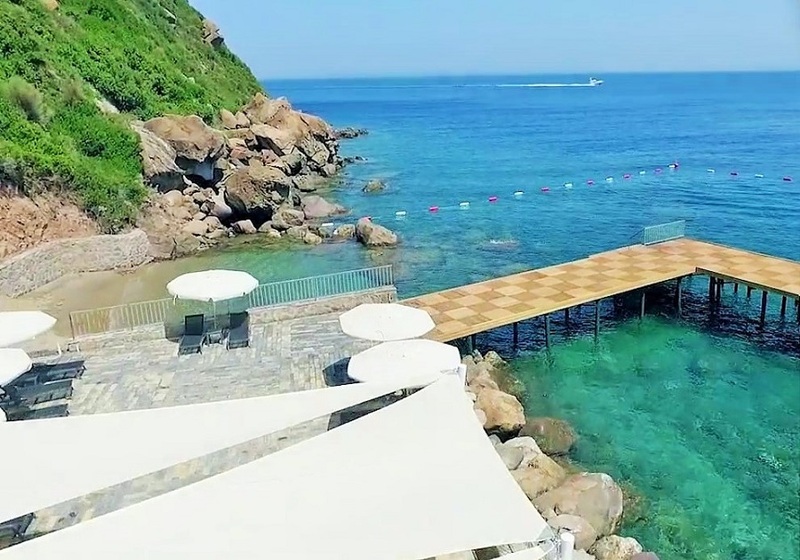 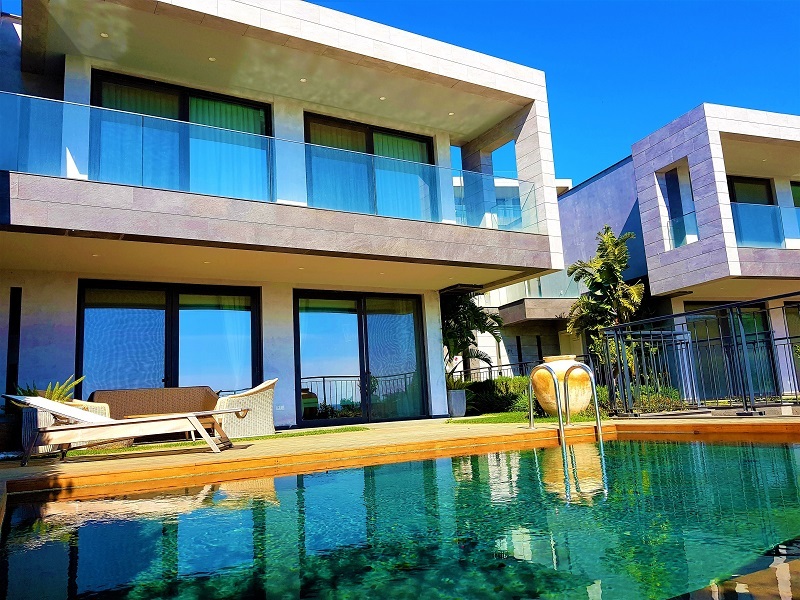 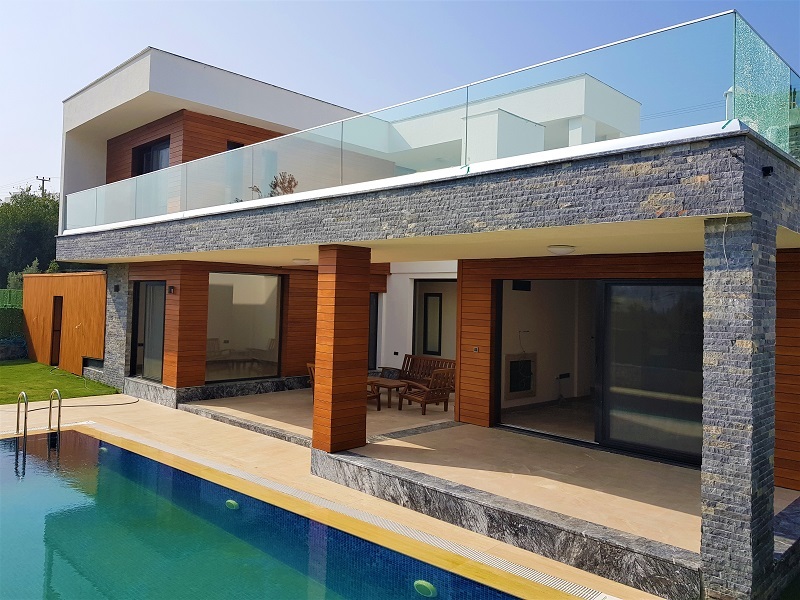 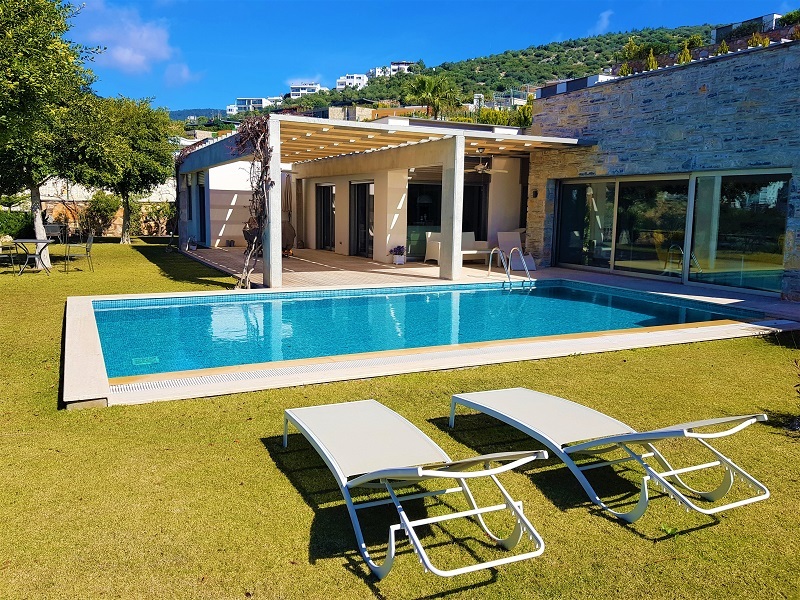 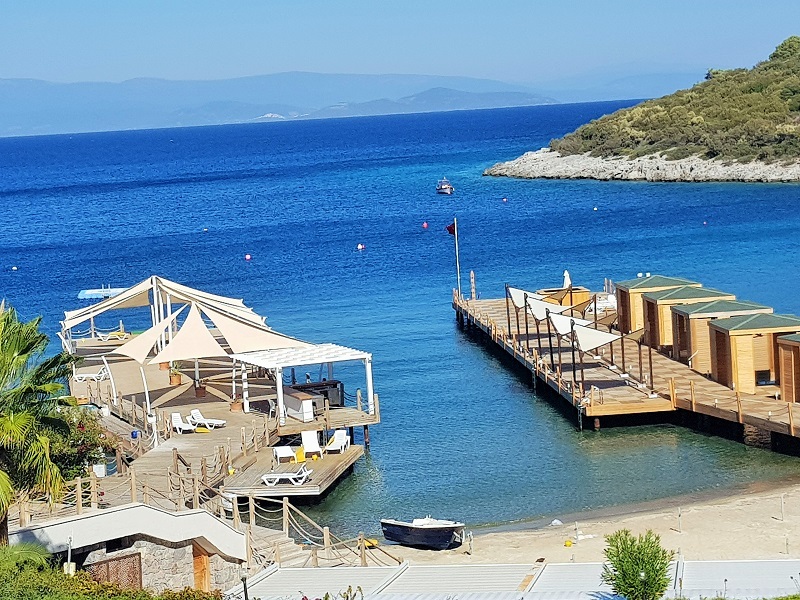 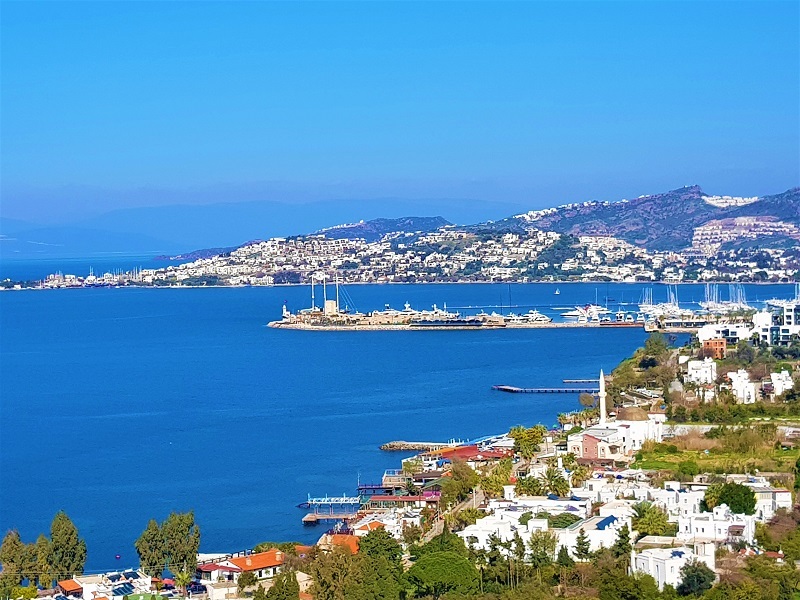 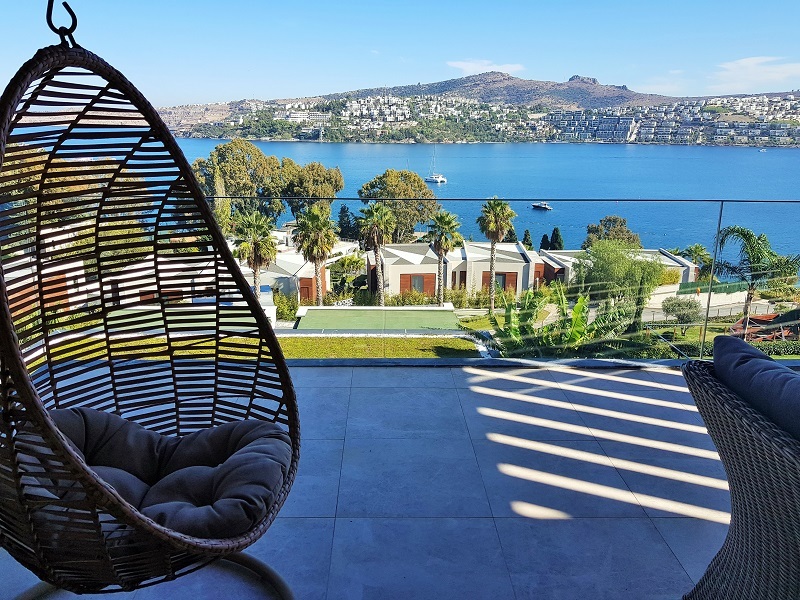 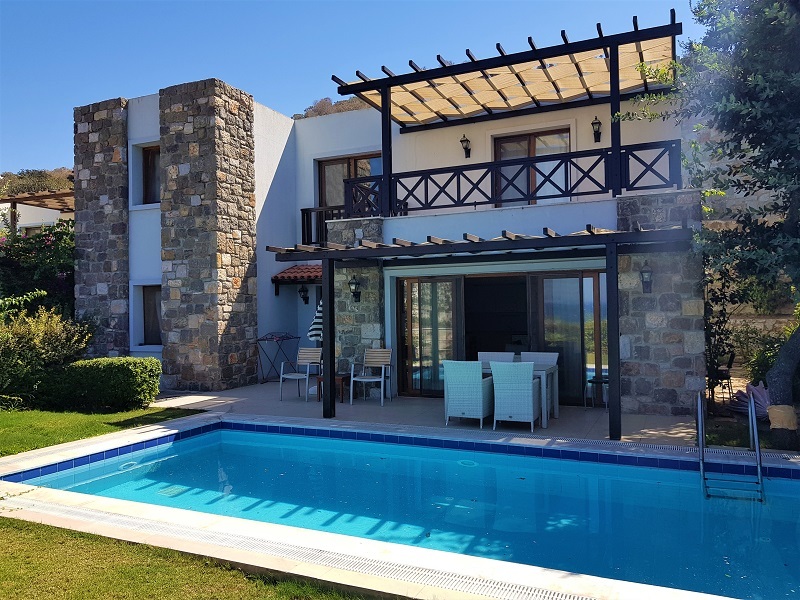 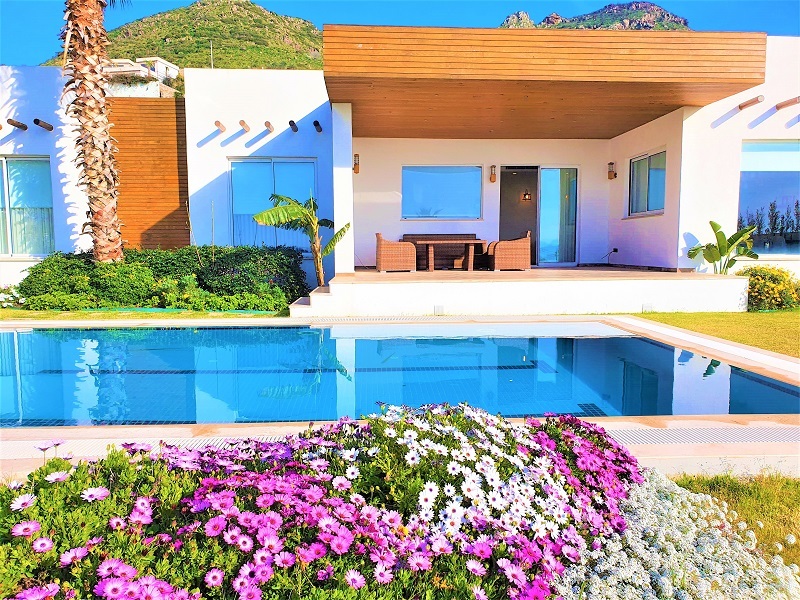 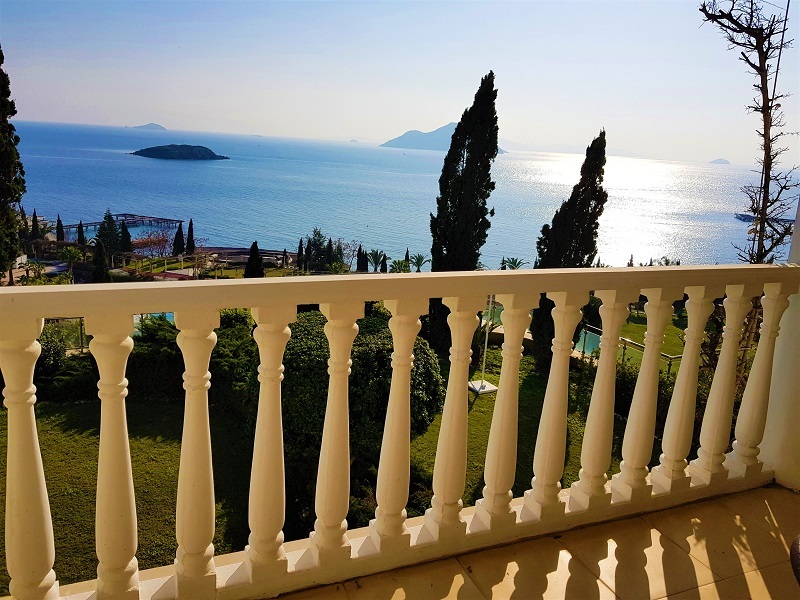 Water front houses for sale in Bodrum in a quality seafront complex with 24/7 security on site, beach, jetty, yachts services, swimming pool, tennis court, garden and housekeeping services. 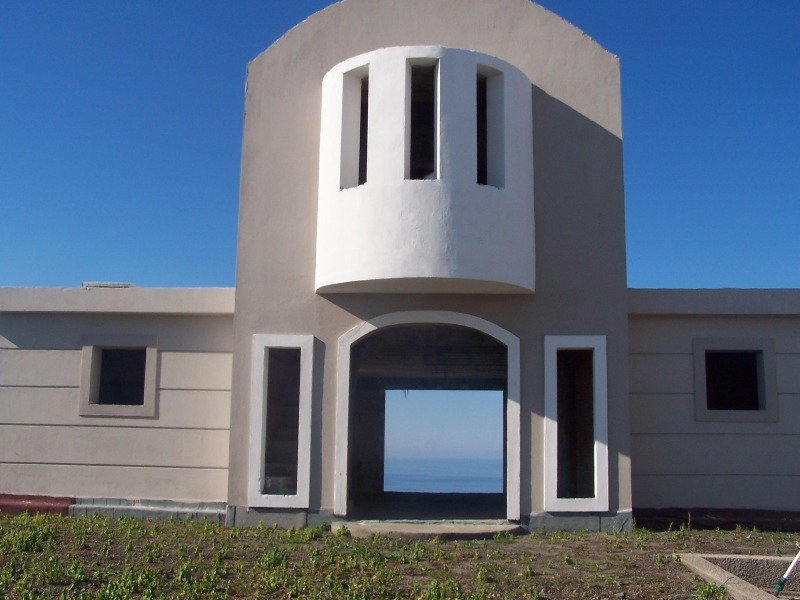 Last 3 first floor houses for sale with full sea view, 135m² living area, 2 bedrooms, 2 baths, sitting room with kitchen and balcony. 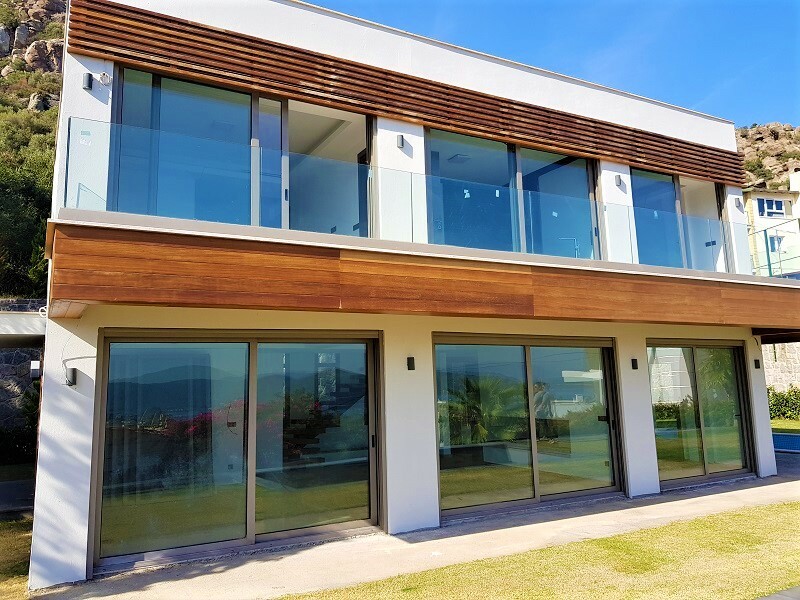 600,000 USD. 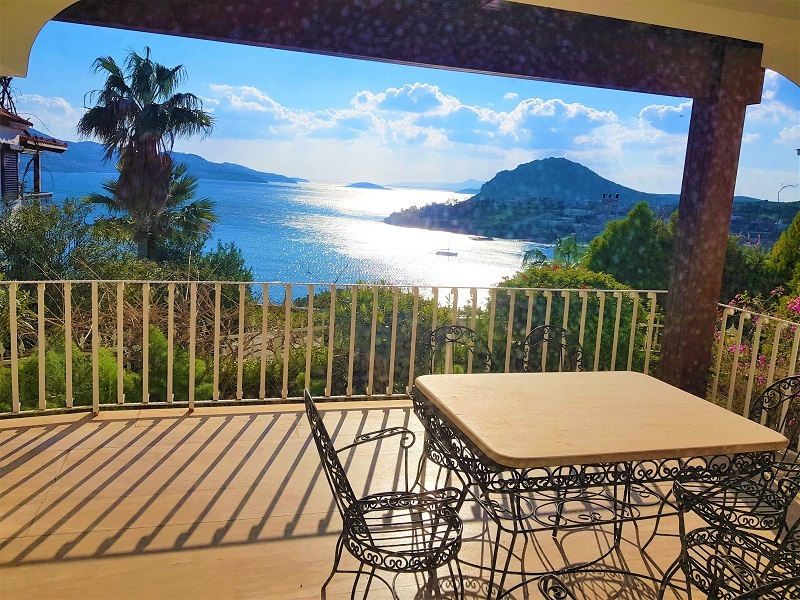 Turkey Bodrum Real Estate,Gundogan seafront houses for sale with full seaview,24 houses in complex,security,swimingpool,beach, 16 garden duplex apartments 160m2 living area with 4 bedrooms,4 bathrooms,livingroom with kithen and 150m2 penthouses with 3 bedrooms,3 bathrooms,livingroom with kitchen,balcony, from 550.000 USD .Ready to move in. 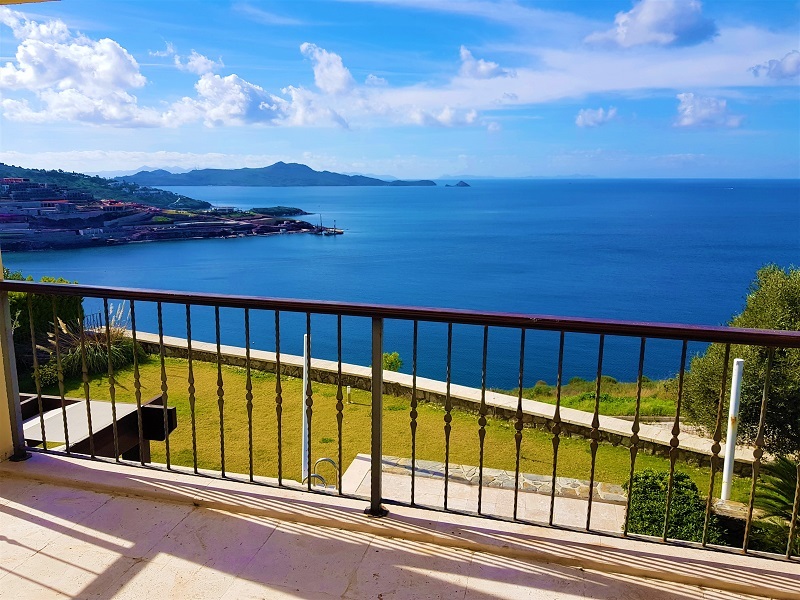 ideal for peacefull seafront view and life.not easy to find this size again. 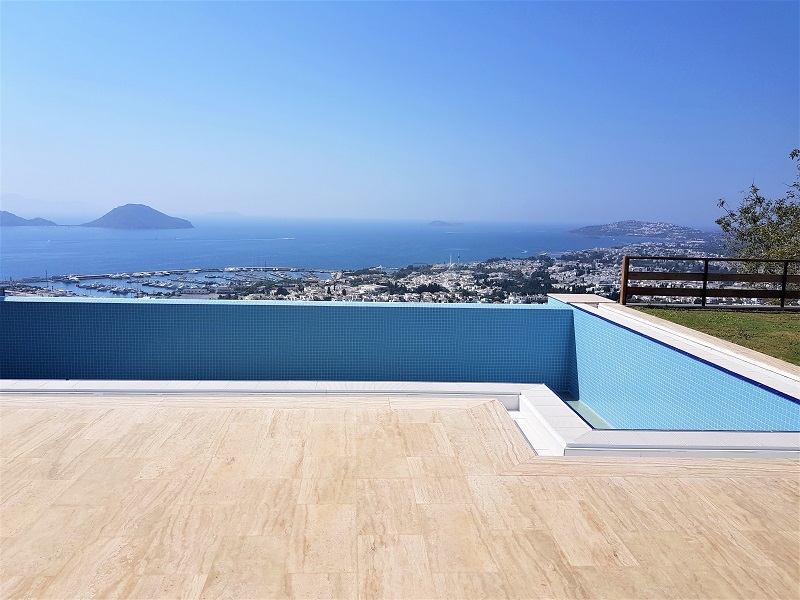 Bodrum Real Estate, Turkey.Last houses in a luxury complex. 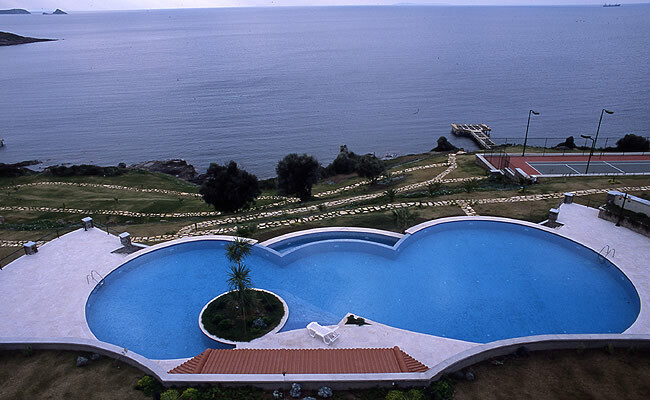 Restaurants, beach, yacht services, spa, security, optional rental guaranty, many hotel services. 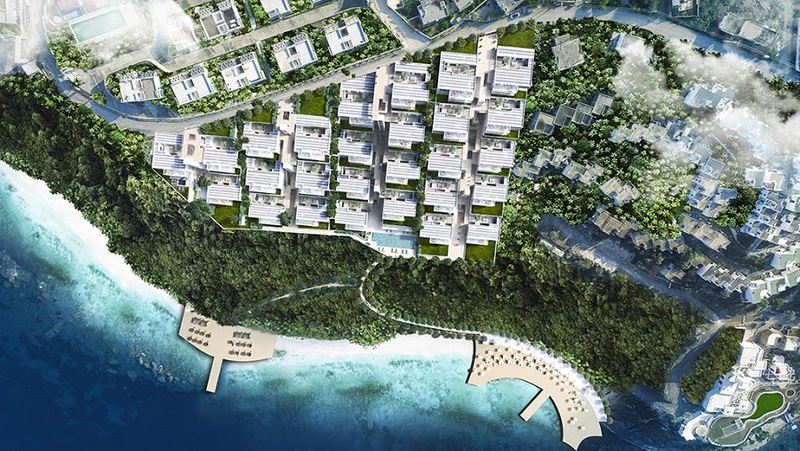 Freehold property for first class investment and lifestyle. 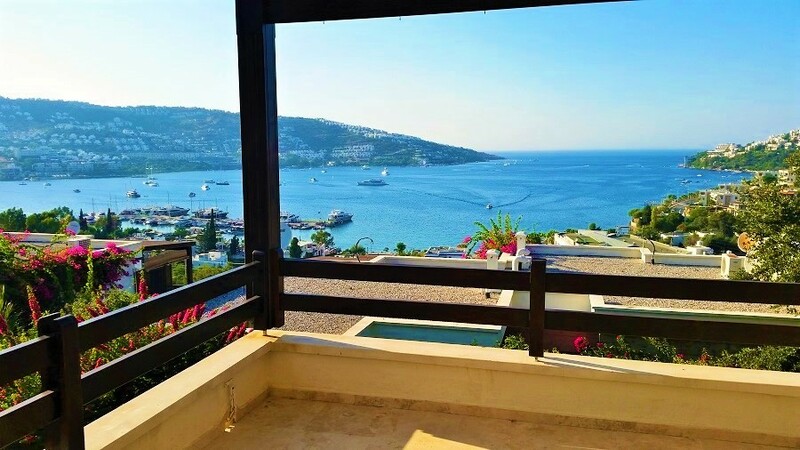 Full sea view, Duplex villa with 140m² living area, 2 bedrooms, 2 baths, sitting room with kitchen. 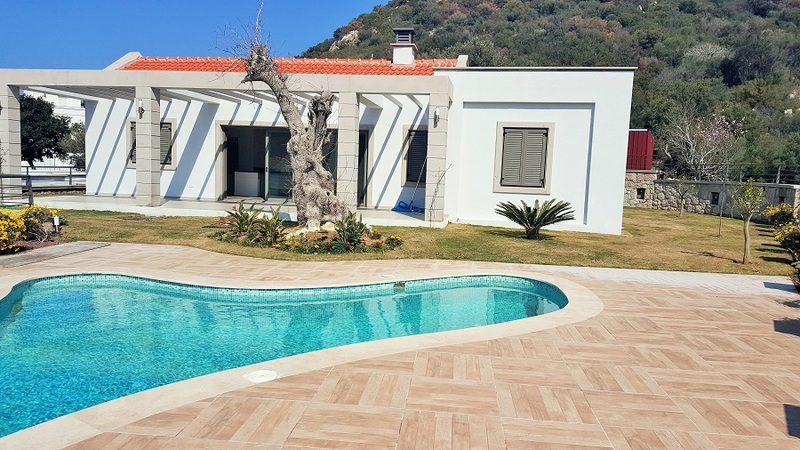 800,000 EURO. 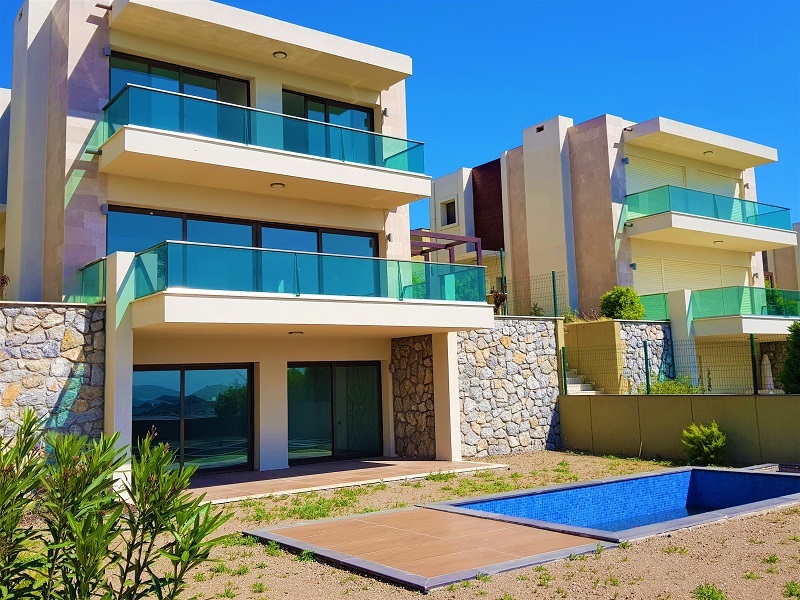 Apartments with 109m² living area, 3 bedrooms 580,000 EURO. 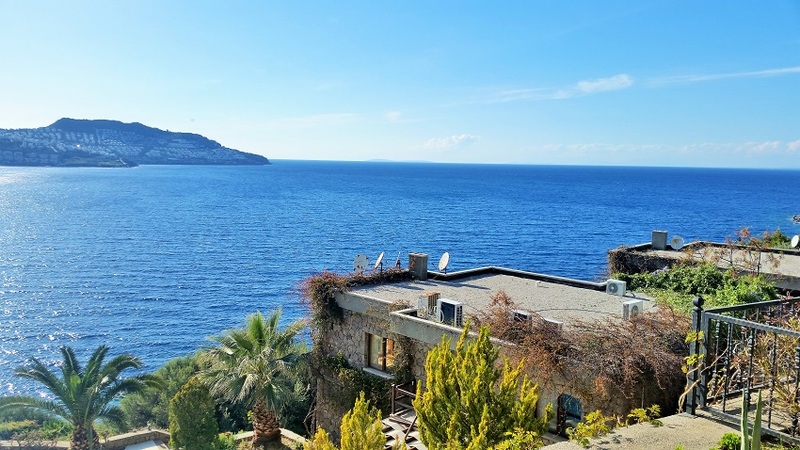 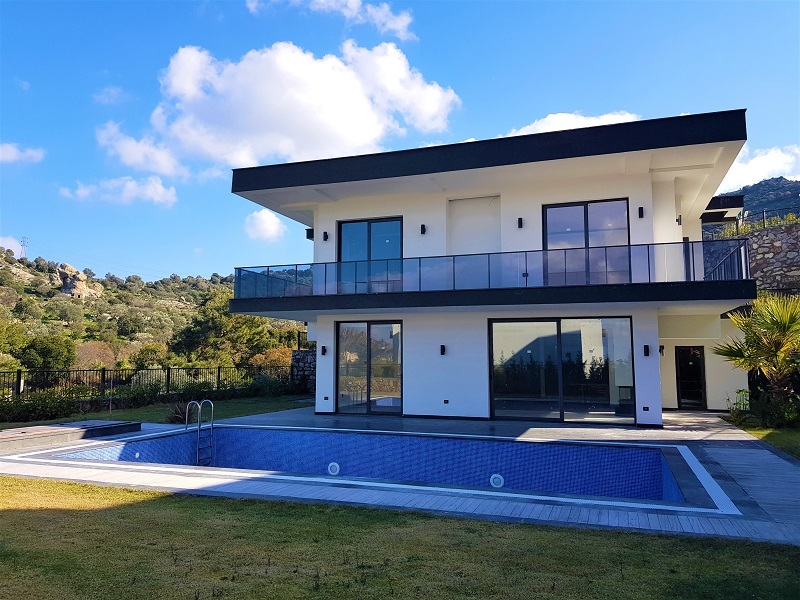 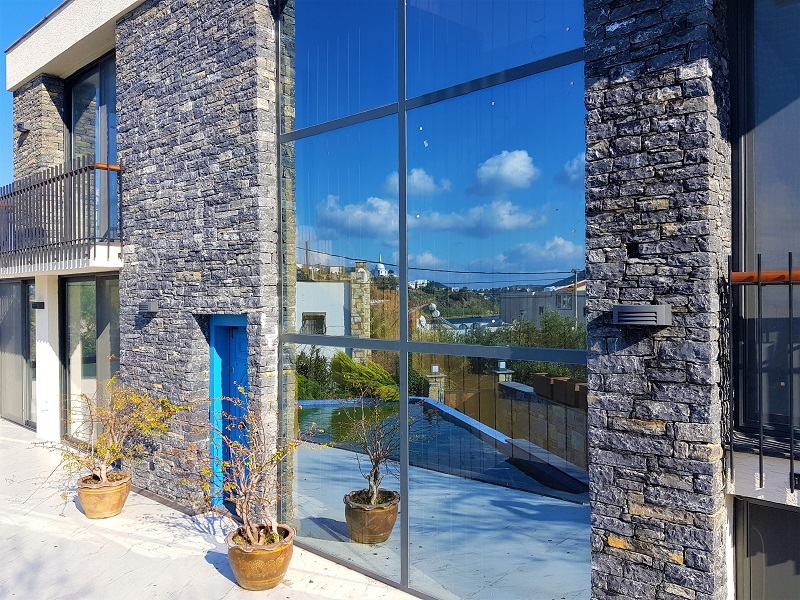 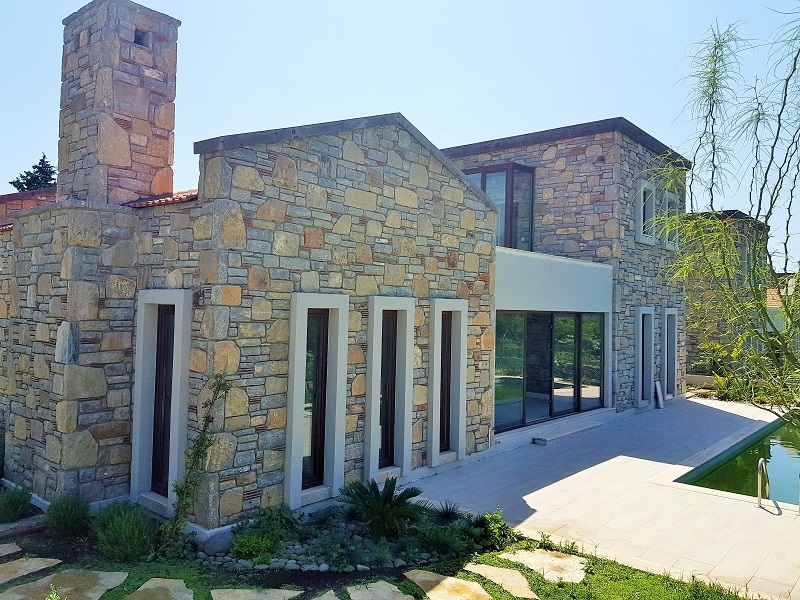 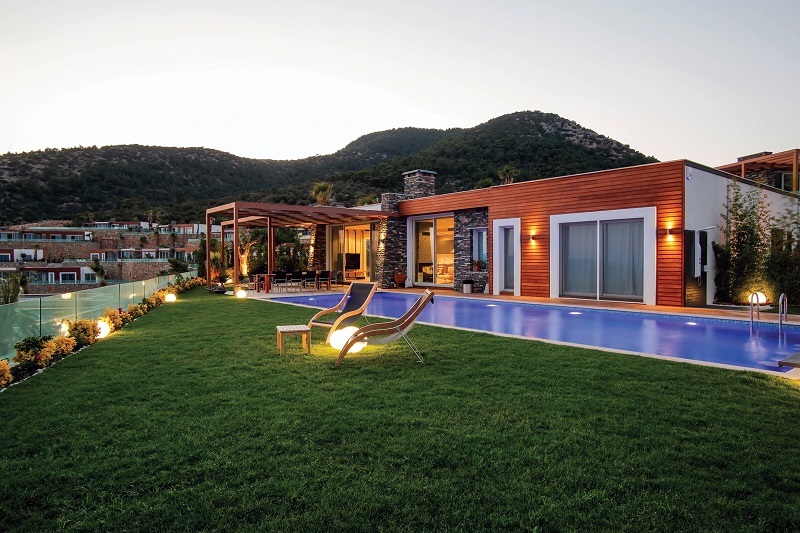 Villa for sale in Gundogan Bay, Bodrum with full sea view. 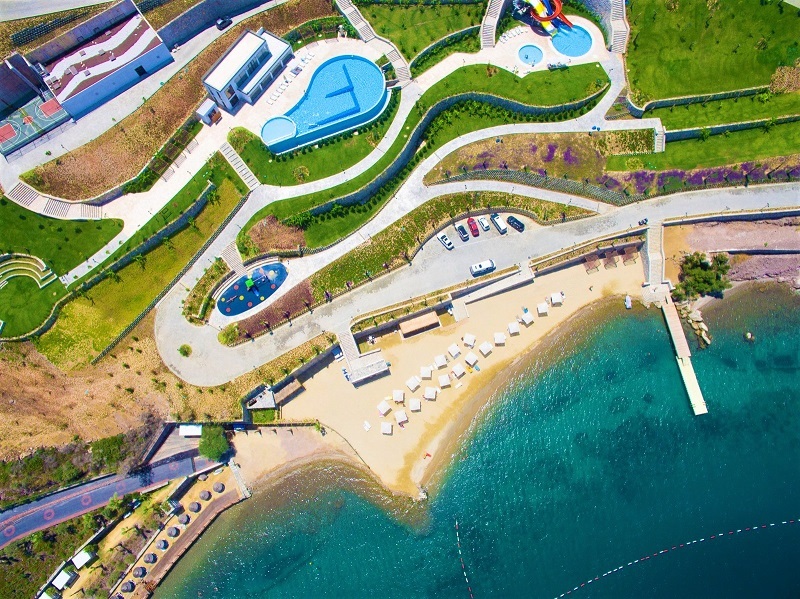 The complex has 24/7 security on site and shuttle to the beach. 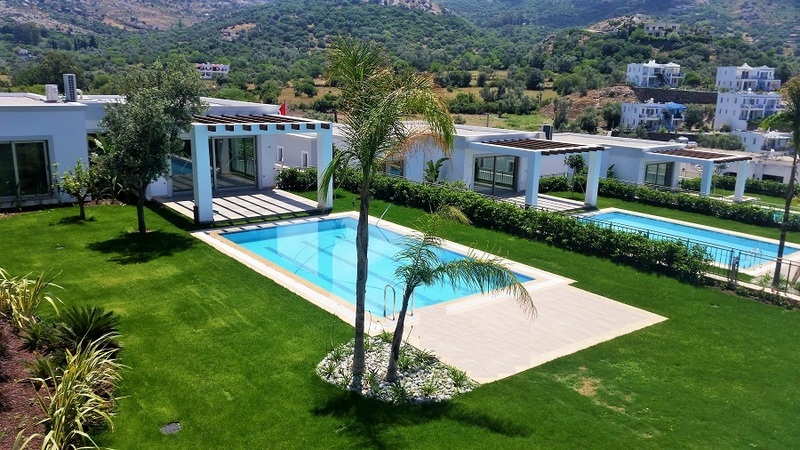 3 detached villas with a private swimming pool each and 800m² land. 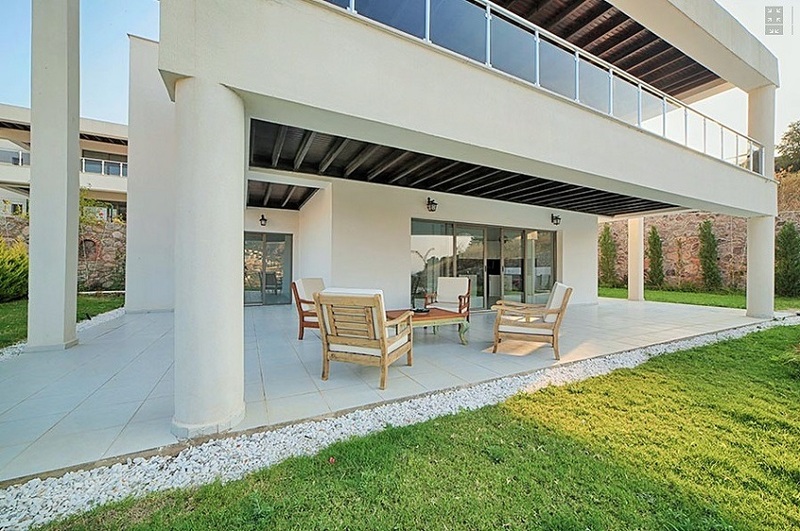 300m² living area and balconies. 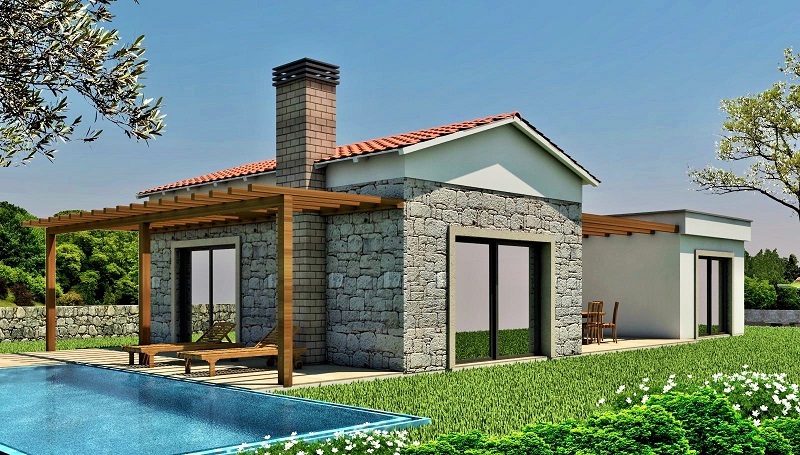 5 bedrooms, 5 baths, sitting room with kitchen. 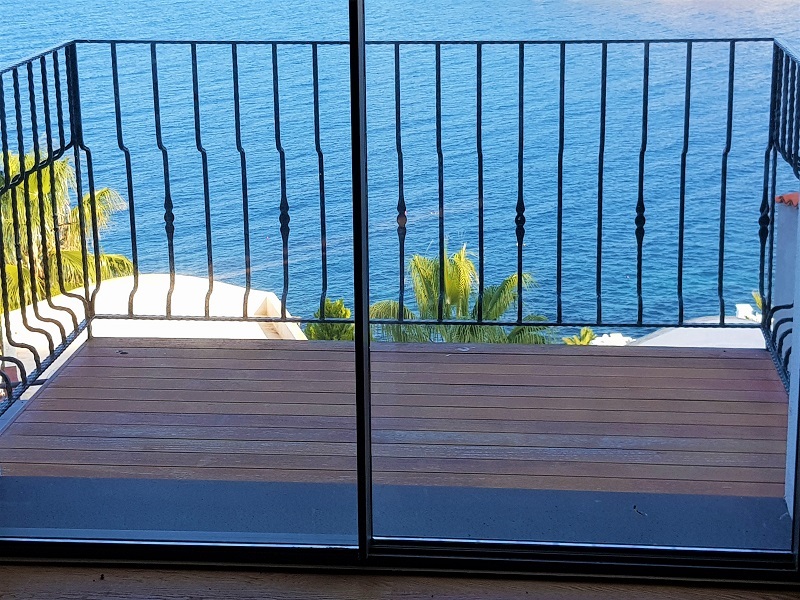 The interior design not finished yet, can be completed to your taste. 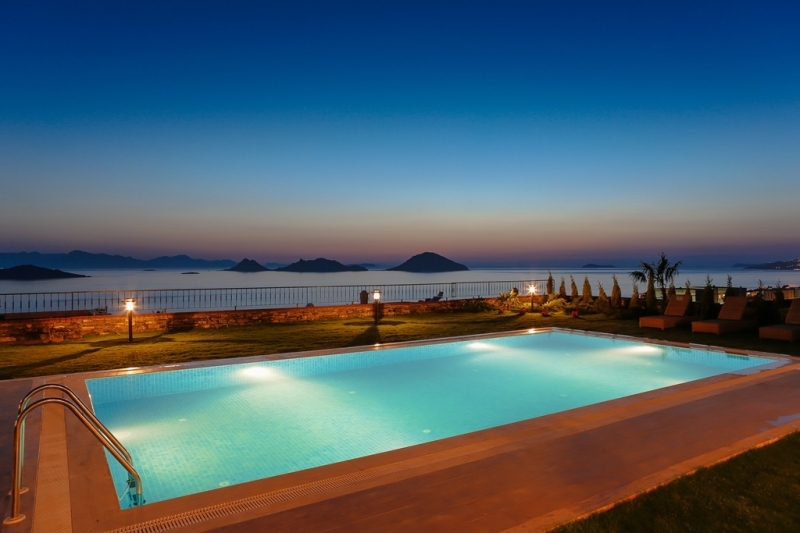 Price for each villa is different. 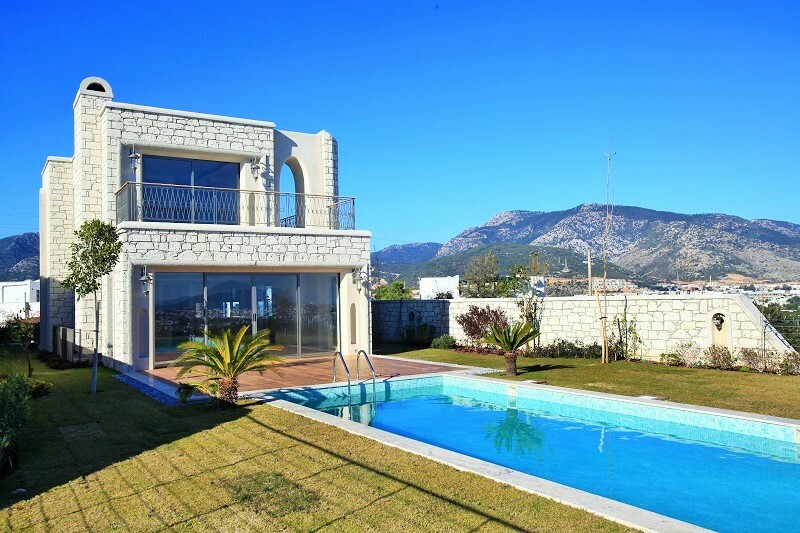 750,000 - 650,000 - 600,000 EURO.